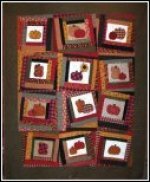 Calling all dessert lovers...we have a yummy recipe, and an even yummier quilt pattern from the book, "From Cakes to Quilts" by Rebecca Morganson at Stitches and Sew Forth. 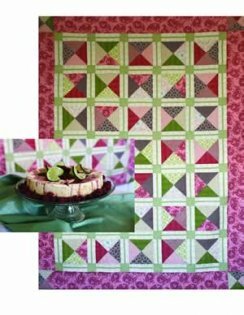 The pattern is called "Key Lime Cheesecake with Raspberry Sauce" and comes complete with the delicious recipe to compliment the beautiful quilt. 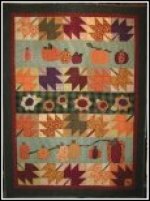 This quilt is made quickly and easily using a layer cake! 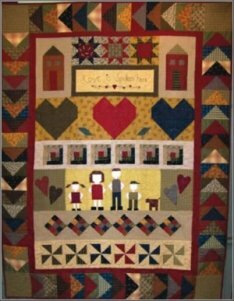 An inviting quilt that speaks of love and family. It will not only warm your home but also your heart. 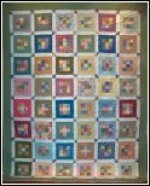 Approximate Size: 64 x 84. 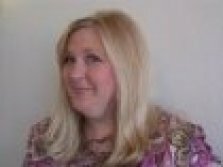 Skill Level: Intermediate. 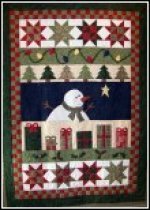 Methods: Piecing, applique, embroidery.